For the last two decades, clinical trials have largely been conducted with patients who have a definitive diagnosis of Alzheimer’s dementia – but is this too late in the disease process? The string of late-stage drug failures which have plagued AD treatment development has led to research and development efforts being re-allocated to the earliest stages of the disease process. In recognition of this step-change, the US Food and Drug Administration (FDA) released a draft guidance document on how to meaningfully include patients with very early-stage Alzheimer’s disease in clinical trials. Importantly, for the first time, the FDA has suggested that for patients with very early stage Alzheimer’s disease, sensitive neuropsychological tests can be used as a primary endpoint to provide adequate support for marketing approval. Here we will discuss a battery of tests which sensitively measure cognition, and cognitive change, in early Alzheimer’s disease. The MOT is a task that can be used to assess participants’ general ability to understand and complete tasks using the iPad technology and can highlight if any sensorimotor or hearing deficits may impinge on performance. It also allows patients to become familiar with using a touchscreen. What does the task involve? 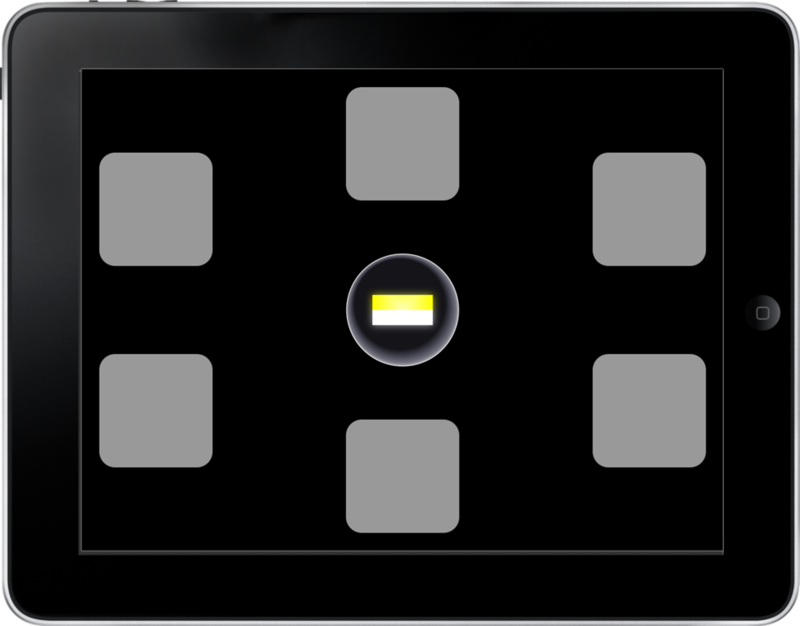 A flashing cross appears onscreen, in varying locations which participants must touch as quickly and accurately as possible. PAL tests visual associative learning and memory and gives insight into individuals’ episodic memory abilities. This is typically impaired in Alzheimer’s Disease and has also been found to be best at predicting later Alzheimer’s Disease in patients with Mild Cognitive Impairments (MCI; Albert et al., 2011). It is a key component of the dementia test battery. 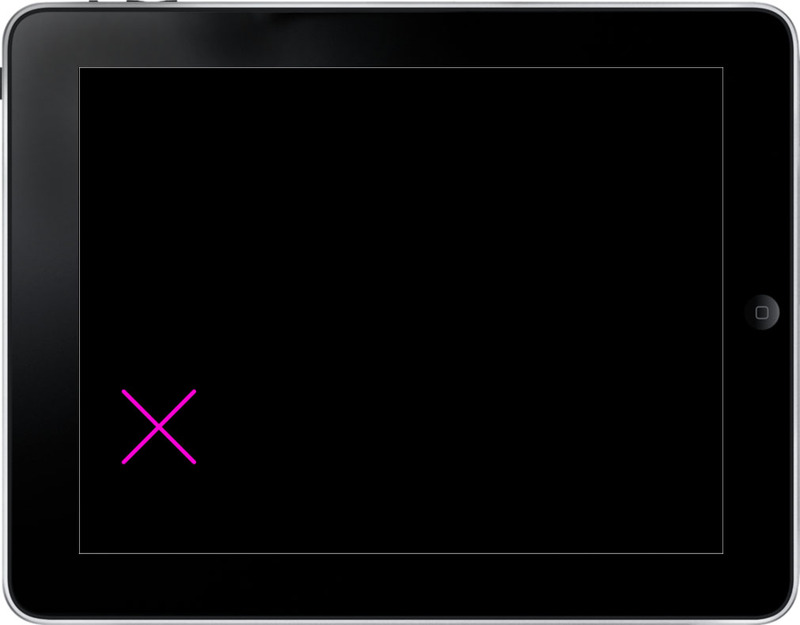 Boxes are displayed around the edge of the screen. In a random order, each one opens once to reveal either a pattern or nothing. At least one box contains a pattern. 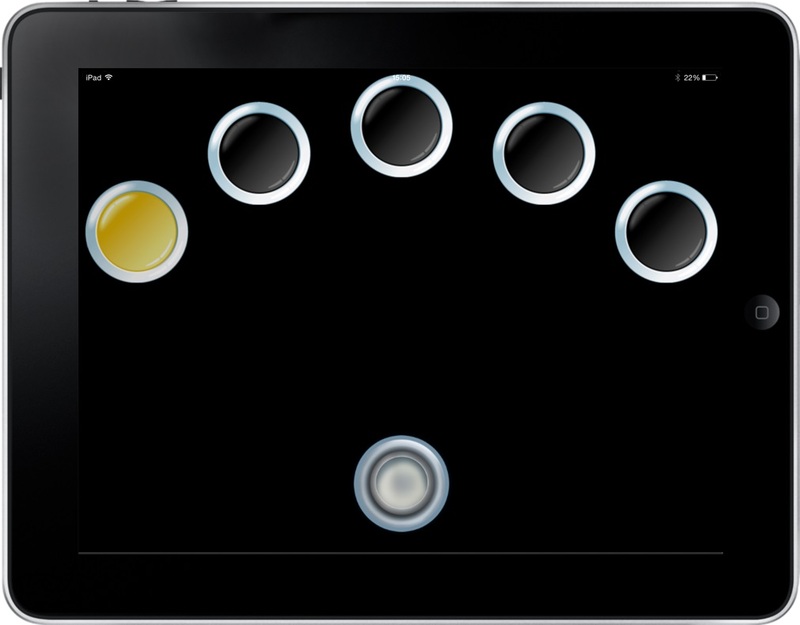 The patterns are then shown one at a time in the centre of the screen and the participant must touch the box where the pattern had been displayed originally. If an error is made, the patterns are presented again in their respective locations. The task progressively becomes more difficult as the test goes on. SWM looks at how good participants are at retaining and utilising visuospatial information. It is self-ordered and since participants must employ a strategy it also provides insight into executive function. An array of coloured boxes contain tokens which participants must search for by touching the boxes. 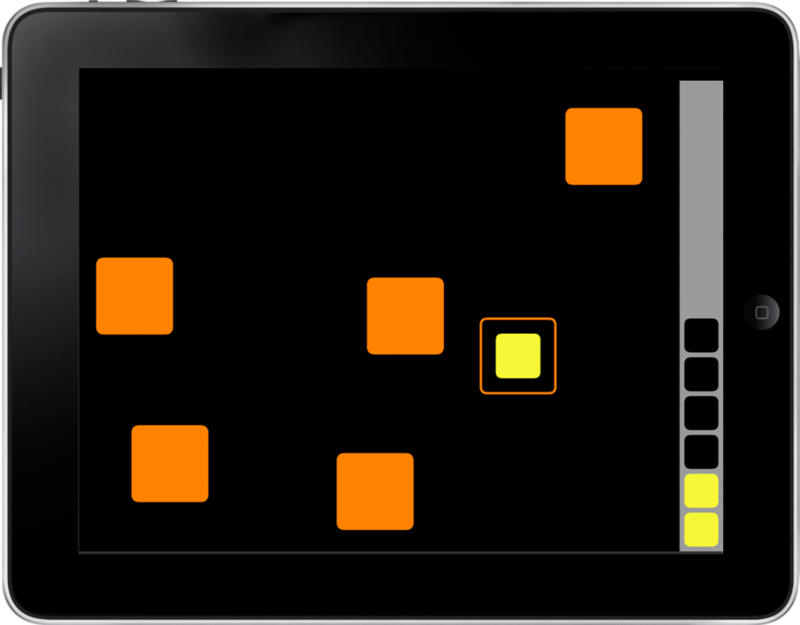 As the test progresses, the number of boxes increases, making the task more difficult. Crucially, participants must not return to a box in which they have previously found a token. RTI measures how quickly and accurately the individual can react, both in terms of their mental and motor response speed, and their vigilance. It can also show if the participant has issues of impulsivity and if premature or preservative responding occurs. 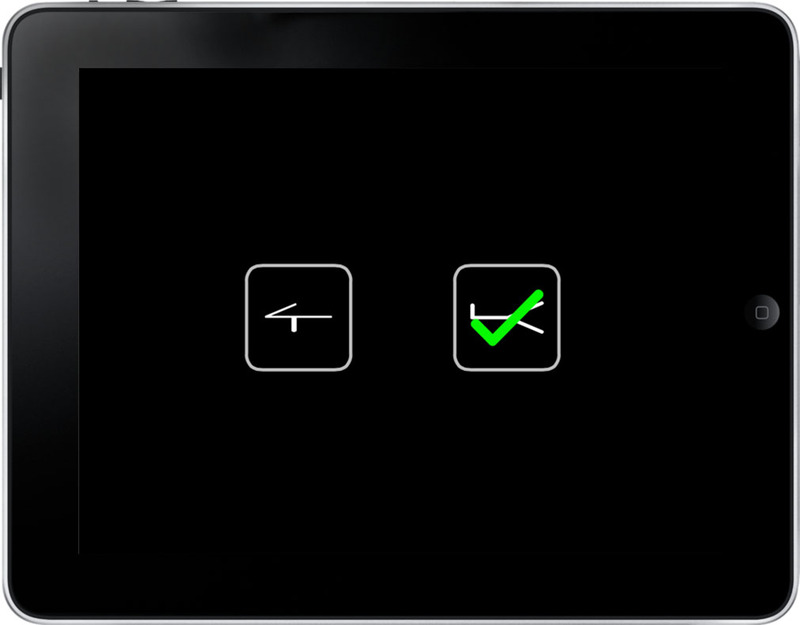 Participants must hold down a button at the bottom of the screen until a dot appears in a circle at the top of the screen, which they must touch as quickly as possible. This dot can appear in just one circle (simple RTI) or in one of five different circles (five-choice RTI). RVP tests how well participants can sustain their visual attention and how they cope with a task requiring continuous performance. 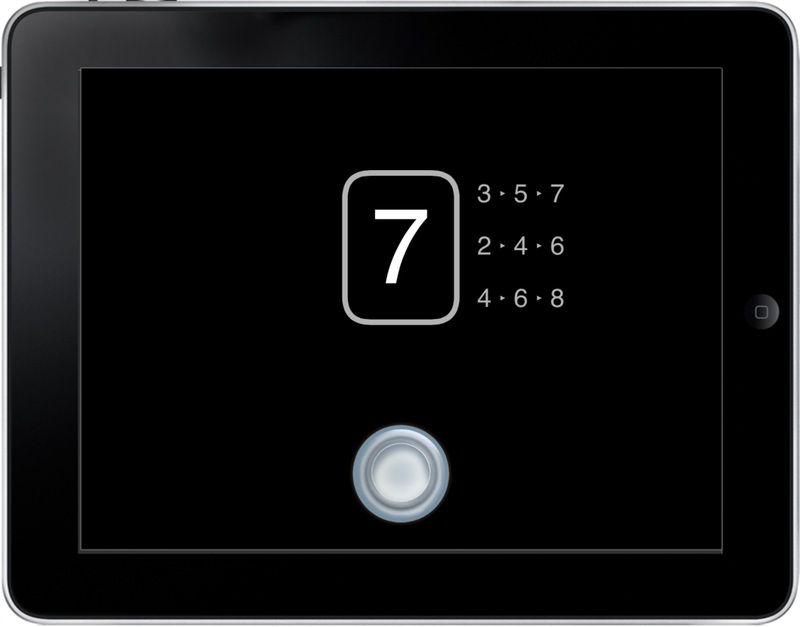 Single digits appear in the centre of the screen, with 100 digits being shown per minute. A panel to the right of the central square displays the target sequences which participants must respond to. 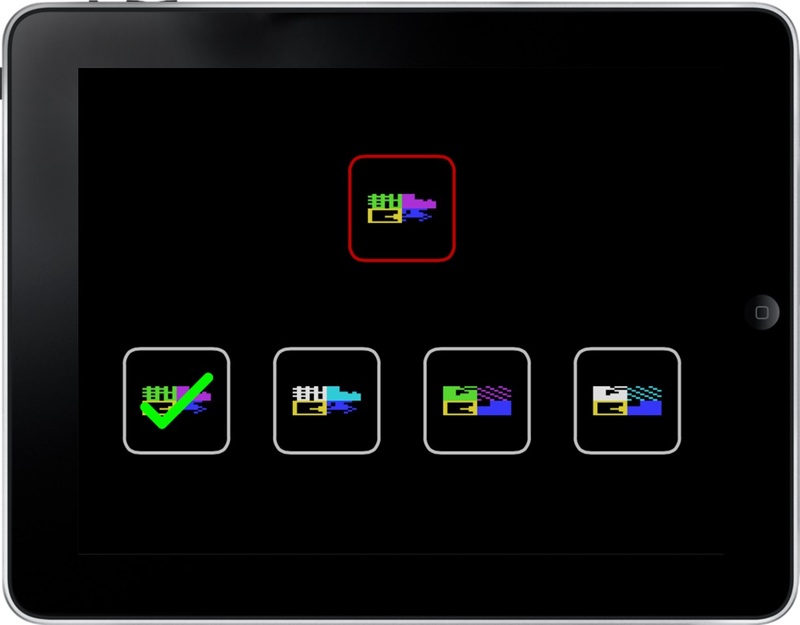 When the participant detects a sequence they must press a blue button at the bottom of the screen. There are 9 target sequences per minute. In DMS participants’ visual recognition memory and short term visual memory are measured by looking at how good they are at both simultaneous and delayed matching of an array of visual stimuli to a target. Participants are shown non-verbalisable patterns which they must match to one of four options shown below it by touching the correct pattern from the four. The sample pattern is either hidden from view and the choice made after a delay or the sample is still visible alongside the four choices. PRM is a test of visual pattern recognition memory in a 2-choice forced discrimination paradigm. The neurological underpinnings of impaired pattern recognition in early AD may be thinning of the parahippocampal gyri (Liu et al., 2015). Participants are presented with non-verbalisable patterns. In the first recognition phase, the participant is required to choose between a pattern they have already seen and a novel pattern. The second recognition phase can be given either immediately or after a delay. What evidence is there that these tests accurately assess Alzheimer’s Disease and MCI? Alzheimer’s patients performed significantly worse than healthy volunteers on all of the critical tests of the battery (PAL, SWM, RVP, RTI, DMS, PRM) (Égerházi et al. 2007). Similar, though less severe deficits were found in MCI patients on all of these tests except RTI. Furthermore, scores on Cantab tests are associated with the clinical progression of the disease, as assessed by measures of global impairment, such as the MMSE (Swainson et al., 2001) and to functional impairment of key brain areas affected in MCI and dementia (de Rover et al., 2011). One of the key challenges in dementia research is predicting progression to Alzheimer’s Disease in patients with MCI. Over a year, approximately 5% of cases of MCI go on to be diagnosed with Alzheimer’s Disease (Mitchell et al. 2008). Fowler et al. (2002) found that deteriorating performance on PAL was able to predict this progression, consistent with the finding that MCI patients with an episodic memory deficit (amnestic MCI) are at higher risk of developing AD (10-15% Roach, 2005). If you would like to discuss how the CANTAB battery for early Alzheimer’s disease could enhance your next clinical trial, then please get in touch with our specialists. For a discussion on the challenges to recruiting subjects with very early Alzheimer’s disease into clinical trials and how to overcome them, join industry experts Dr Kenton Zavitz and Dr Robert Smith at our webinar. de Rover, M., Pironti, V. A., McCabe, J. A., Acosta-Cabronero, J., Arana, F. S., Morein-Zamir, S., Hodges, J. R., Robbins, T. W., Fletcher, P. C., Nestor, P. J. & Sahakian, B. J. (2011). Hippocampal dysfunction in patients with mild cognitive impairment: a functional neuroimaging study of a visuospatial paired associates learning task. Neuropsychologia, 49(7), 2060-2070. Égerházi, A., Berecz, R., Bartók, E., & Degrell, I. (2007). Automated Neuropsychological Test Battery (CANTAB) in mild cognitive impairment and in Alzheimer's disease. Progress in Neuro-Psychopharmacology and Biological Psychiatry, 31(3), 746-751. Fowler, K. S., Saling, M. M., Conway, E. L., Semple, J. M., & Louis, W. J. (2002). Paired associate performance in the early detection of DAT. Journal of the International Neuropsychological Society, 8(01), 58-71. Liu, J. et al. (2015) Impaired Parahippocampus Connectivity in Mild Cognitive Impairment and Alzheimer’s Disease, Journal of Alzheimer’s Disease, 49(4), pp. 1051–1064. doi: 10.3233/JAD-150727. Mitchell, A. J., & Shiri-Feshki, M. (2008). Temporal trends in the long term risk of progression of mild cognitive impairment: a pooled analysis. Journal of Neurology, Neurosurgery & Psychiatry, 79(12), 1386-1391. Palmer, K., Di Iulio, F., Varsi, A. E., Gianni, W., Sancesario, G., Caltagirone, C., & Spalletta, G. (2009). Neuropsychiatric predictors of progression from amnestic-mild cognitive impairment to Alzheimer's disease: the role of depression and apathy. Journal of Alzheimer's disease: JAD, 20(1), 175-183. Roach, E. S. (2005). Treating mild cognitive impairment: The absence of evidence. Archives of Neurology, 62(7), 1167-1167. Saunders, N. L., & Summers, M. J. (2011). Longitudinal deficits to attention, executive, and working memory in subtypes of mild cognitive impairment. Neuropsychology, 25(2), 237.